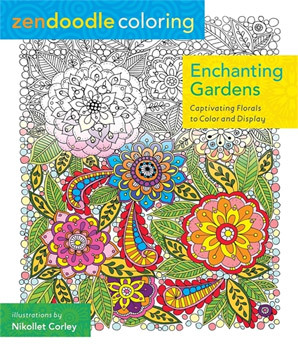 A coloring book for adults that promotes creativity and stress-relief. Nikolett Corly was born and raised in Hungary and is a self-taught artist with a passion for drawing. She believes strongly in the therapeutic power of creativity as a calming escape from the stress of day-to-day life, and relishes the opportunity to share the serenity of her art with the world. Nikolett currently resides in Brooklyn with her husband and has two young sons.